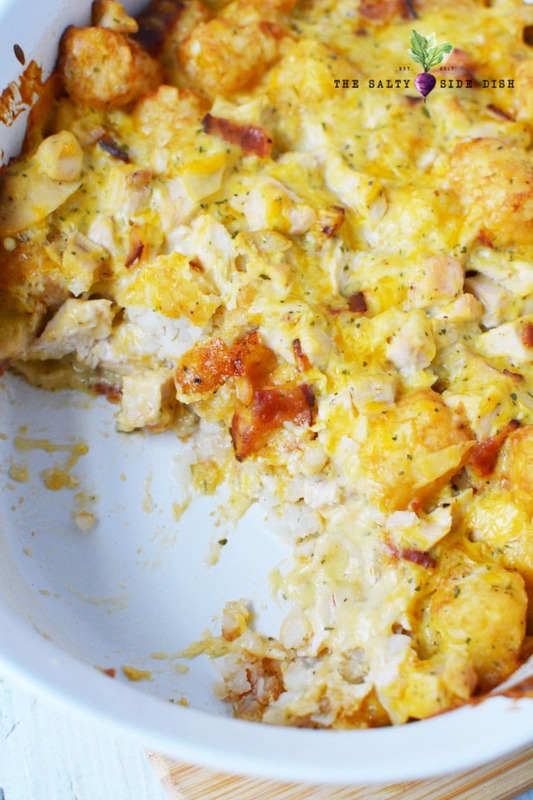 Chicken and potato casserole is an easy weeknight dinner recipe ready in under 30 minutes. 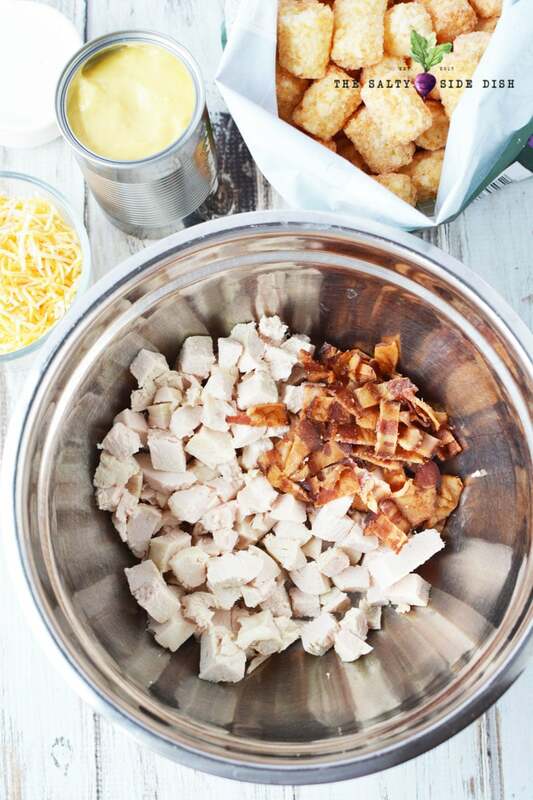 With crunchy potatoes and cubed chicken, you can make the perfect Southern comfort meal. When it comes to dinner recipes, I am always trying to do something quick. Lets be honest, 5 pm hits, the husband comes home, the kids have finished their homework and they are all look at you with the “whats for dinner” or “can I have a snack” eyes. Typically I don’t cave, but my son knows I’ll say yes on an apple every time and then every time he wont eat dinner. That means I need major quick food or at least to plan ahead a menu. The great thing about chicken and potato casserole is that planning ahead is a think of the past. So when I was trying to come up with a great dinner that included food I already had in my pantry and fridge, this oh so good hash came to mind. Personally I am a huge fan of hash and am particular about breakfast casseroles and the dump and go ones, like funeral potatoes. So when I created this chicken and potato casserole I was surprised at how good it was and so were the kids! 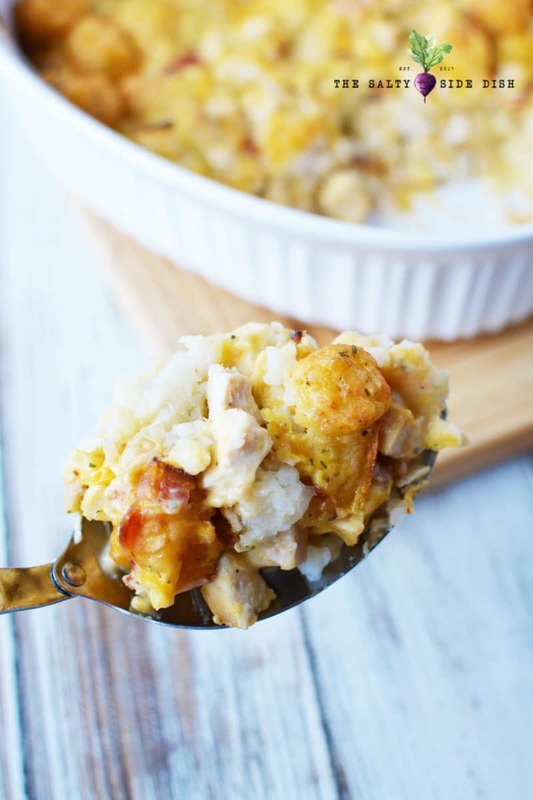 If you are looking for an easy dump and go dinner that your kids will love, you have all the ingredients for, and is super filling, chicken and potato casserole is for you! You cannot go wrong when you combine the two foods kids will actually eat: Chicken and Potatoes. The creamy chicken soup in this hash dish combined with the crunchy tater tots makes this meal a moms favorite “done in no time” monthly recipe. 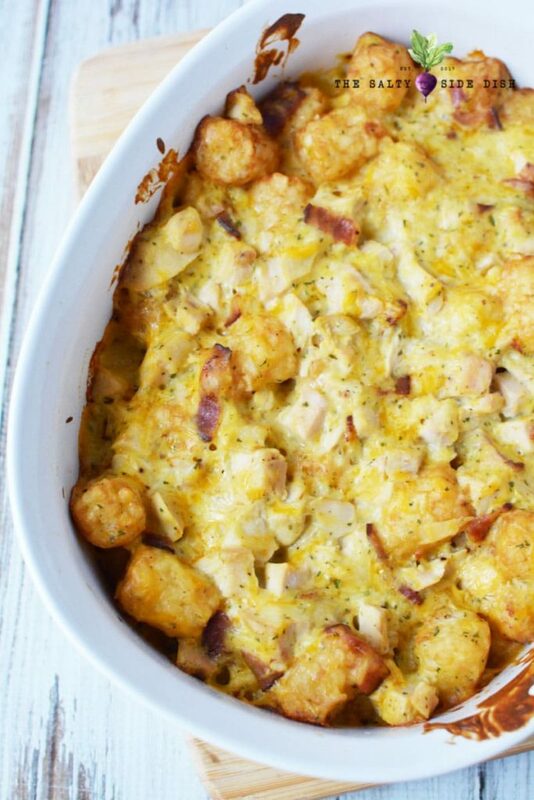 Incredible delicious and oh so filling chicken tater tot hash is a meal that you can not only be proud of but clears the dinner plates. 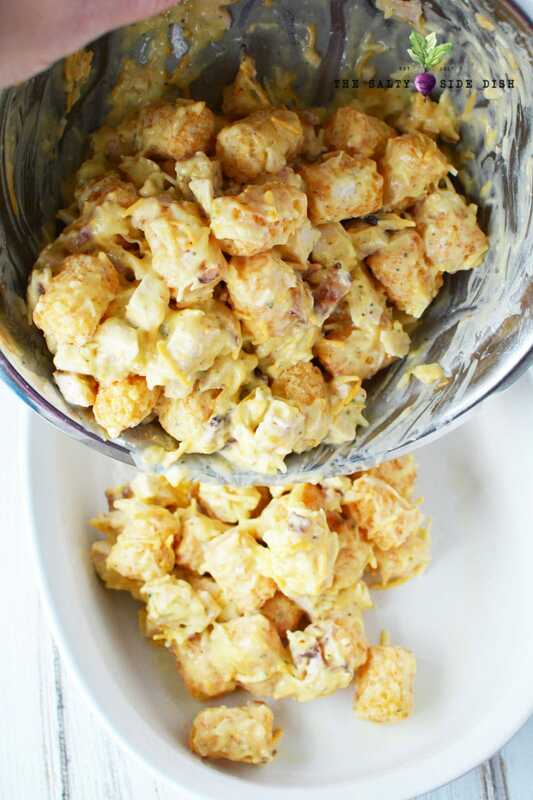 In this tater tot recipe, I used freshly cooked up cubed chicken, but drained canned chicken (the kind you would use in a chicken dip) can work in a pinch as well and eliminate even more of the time it takes to create this chicken and potato casserole. 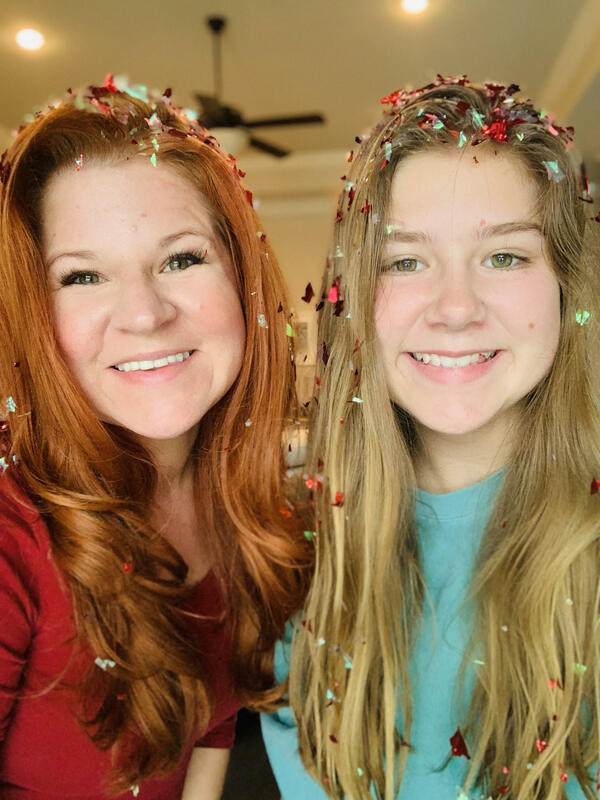 Another quick and easy recipe your entire family will love and done in under 20? Honey Garlic Chicken! Recipe Tip: I keep a bottle of this Ranch Seasoning instead of buying the little packets. Last so much longer and you can sprinkle on like every thing. I know that I have gone into the pantry and have been missing ingredients time to time to make things like this tater tot hash, so if you find that is you, try one of these alternatives. Preheat oven to 350 and grease a casserole dish (2.5 qt used) with nonstick cooking spray. Set aside. 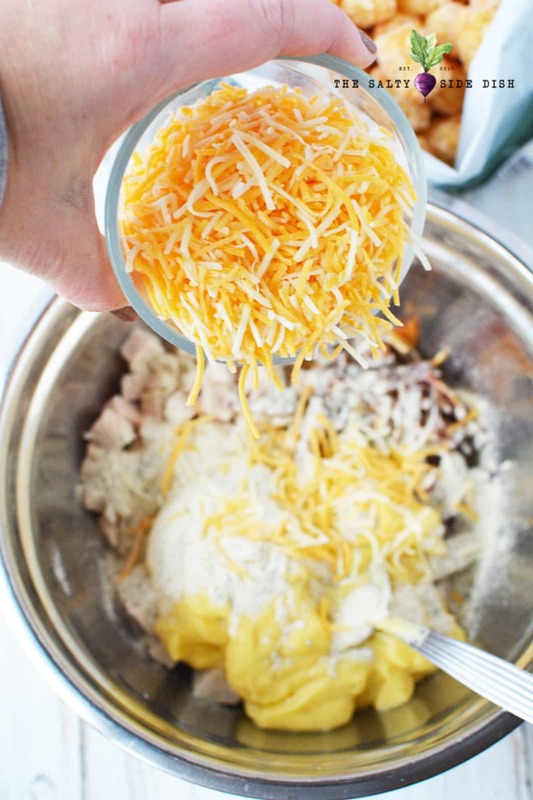 Add all your ingredients together in a large mixing bowl and mix well. You will really want to get the cheese in there so its evenly distributed when you cook your hash. Chicken and potato casserole ingredients into prepared pan (trust me, you don’t want things to stick, that is so hard on washing dishes!) and bake for 40-45 minutes or until center is hot. Serve your newly done recipe to a willing and excited family immediately. 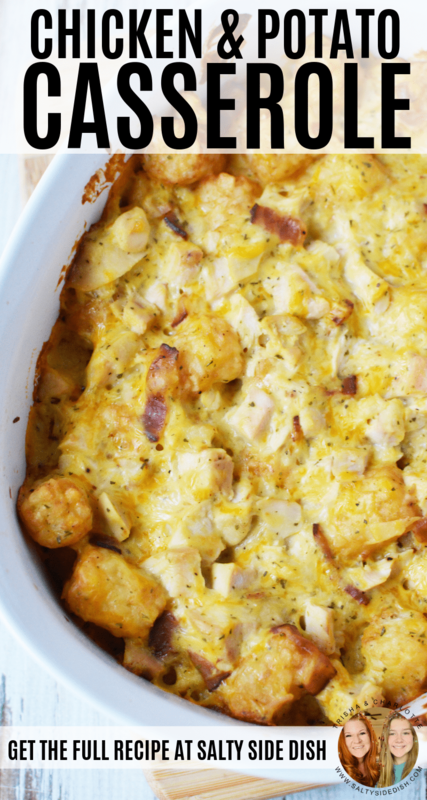 Although this chicken and potato casserole skips the cream cheese, this dish is a blank slate for extra toppings! Try a dollop of sour cream and chives for some color and flavor. Another fun addictive is a bit of buffalo sauce in your chicken to spice it up for mom and dad. Add all ingredients together in a large mixing bowl and mix well. Pour chicken and potato casserole into prepared pan and bake for 40-45 minutes or until center is hot.